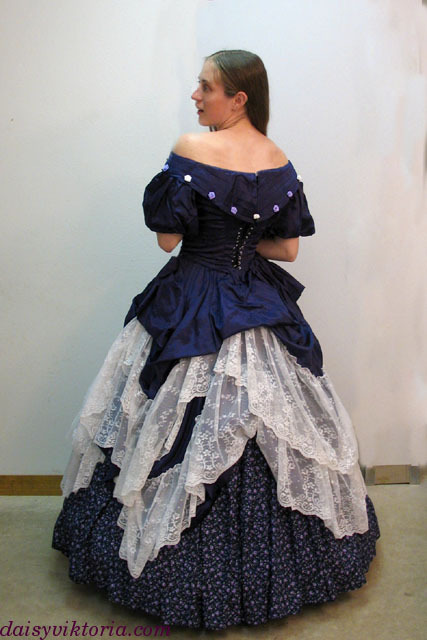 This is a Civil War era ballgown, consisting of a bodice and skirt, which is worn over another skirt of contrasting fabric. 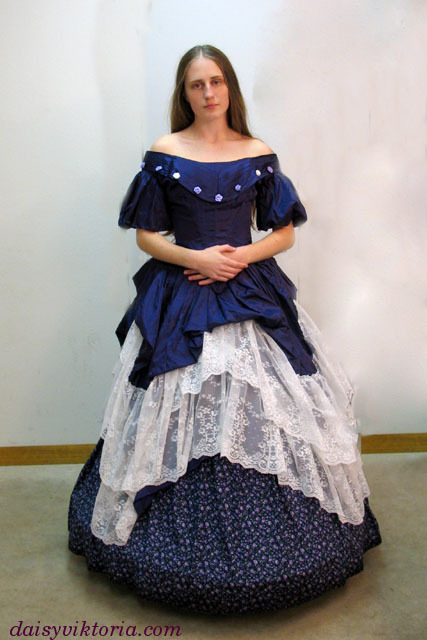 The bodice seams are all historically accurate, and the style was decided upon after researching popular variations from the time period. 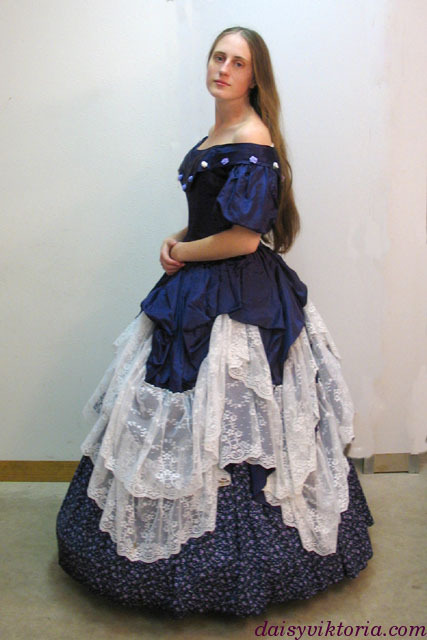 The bodice laces in the back, and the overskirt is bustled to expose the skirt underneath.